We are also registered as a tax-exempt 5031c3 faith-based charitable organization in the United States. We support innovative ideas and projects which have the potential to create positive change in the world. We host an internet-based talk radio show to support and promote our organizational mission. When we interview political leaders or other public figures, we focus on topics related to the mission of our organization. Universal Soul Love was approved for Consultative Status with United Nations ECOSOC branch in 2019. We believe this position with the UN will enhance our humanitarian and environmental improvement aspirations. We support innovative ideas and projects which have the potential to create positive change in the wold. We support innovative ideas and solutions which have the potential to create positive change in the world. Consultative status gives NGOs the ability to make recommendations relating to world policy development and multi-lateral agreements between sovereign nations. Having a seat in the United Nations allows us to represent the interest of minority groups at the global level. With our strong base of dedicated volunteers, and financial support from individuals and businesses, we are empowered to pursue our mission and cause. Universal Soul Love was conceived by Dr Lana Love and her partner Detective David Love. Lana is Australian and is highly regarded as a psychotherapist and medical doctor, while David is American and is a renowned international private investigator. Together, Lana and David seek to provide assistance to truth seekers as they engage in their own personal transformation and, collectively, contribute to a global paradigm shift. Dr Lana Love is a Medical Doctor, Psychotherapist, Practitioner of Buddhism and Mysticism and Animal Rights Activist. Dr Love co-hosts Universal Soul Love with Det David Love on the BBS Radio Network. Dr Lana Love is an Australian medical doctor and psychotherapist. She has worked in public hospitals and private practice helping people recover from debilitating mental illnesses and serious emotional issues for more than eighteen years. 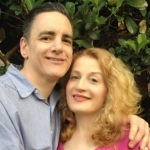 David Love is a Rosicrucian, Spiritualist, board certified hypnotist, Private Detective, Reiki healer, minister, marriage ceremony officiant, pre-marital counselor, columnist, public speaker, and a metaphysical author. World Traveler, International Adventurer, Talk Show Host, Published Author, Board Certified Hypnotist, Reiki Healer Career, Private Investigator, and Personal Empowerment Professional. He writes and speaks extensively on applying ancient mystical philosophy as means for personal growth and development. David’s current focus is on empowering people to develop effective personal success strategies. He has written dozens of articles on spiritual topics, and made numerous guest media appearances. David is the author several books including: The First Truth: A Book of Metaphysical Theories, Illusion of the Body: Introducing the Body Alive Principle, and Abducted Dreams: What to do When Your Child is Missing. In December of 2015, Arielle Ford relationship expert and author of the best selling book “The Soulmate Secret”, included a chapter in her new book “Turn Your Mate into Your Soulmate” about how Det David met Dr Lana Love called Soulful Synchronicities. Their story was included in along with other well-known public figures such as John Gray, Neale Donald Walsch, and Marianne Williamson. David also co-authored a chapter for best-selling series the Adventures in Manifesting Series: Soulful Relationships (with Lynn Rose and Bob Doyle).’He is also a past article contributor to the Sedona Journal of Emergence. David and his Australian partner Dr. Lana Love, are the hosts of Universal Soul Love, a weekly talk radio show, which discusses topic ranging from environmentalism, animal rights, gender equality, personal development, spirituality, and self-sustainable living. David has over twenty years of experience working in the America judicial system as an investigator. As a career private investigator, he specialized in criminal defense investigations, domestic matters, missing persons (including fugitive recovery), complex financial fraud, corporate investigations, and civil litigation support. His clients included business professionals, public figures, and political leaders. David is a strong advocate for missing, abused, and neglected children. He is passionate in promoting civil liberties, animal rights, and environmental protection. We want to make a difference. That takes a real-world approach. It takes action. Together, we can find real solutions to even the most complex global issues. Universal Soul Love will bring together an army of dedicated volunteers who, with support from businesses and individuals on a financial basis, can pursue all these objectives with vigor and passion.